No changes in the Stash Report. Nothing added and nothing finished. I have all the units ready for Lazy Sunday and will be putting together this week. Hope for a big change in the stash report by next Sunday. Check out Da's Crochet Connection. 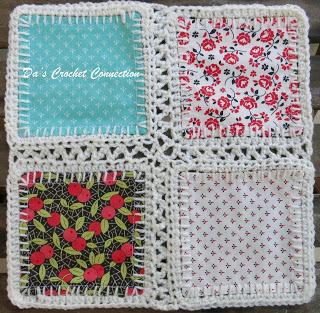 This is my sister's blog and she is working on a quilting/crochet project that combines the best of both, called Crochet Fusion.